Located on Cabo's famous Medano Beach, Cabo Villas Beach Resort features three pools, an on-site brewery and amazing views of Lover's Beach and The Arch as well as the newly opened Drai's Beach Club! Enjoy a day on the beach and walk to all of Cabo's famous night time hotspots in the Marina. This unit features a private bedroom, pull out couch and a kitchenette to make it feel like home. 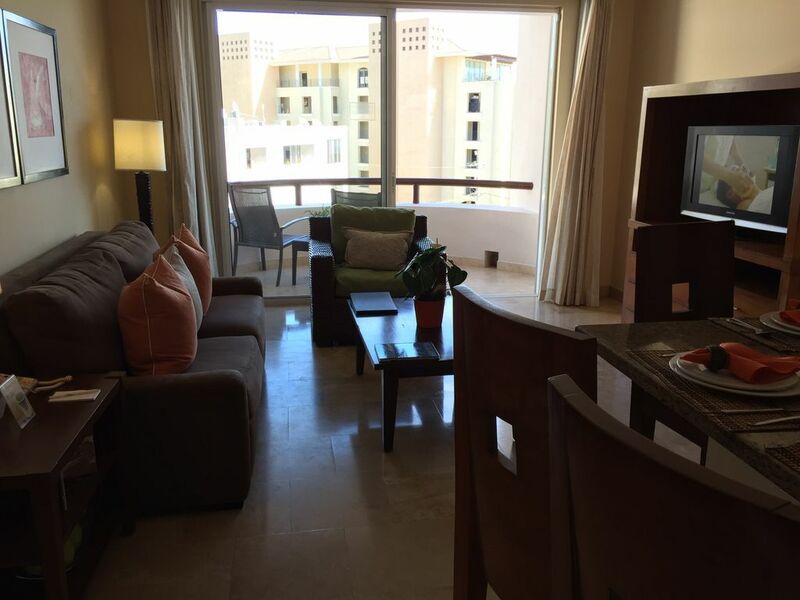 Enjoy sitting on your balcony while you take in all that is Cabo.